Come to a surf camp to Tenerife with a group of friends or organise a company surf retreat for employees. Discover the beauty of surfing and secrets of a permanently sunny island! As part of the TENERIFE SURF SCHOOL surf camps, we provide full care during your stay in Tenerife from the moment you get off the plane. We will plan and organise your group’s stay in Tenerife in a surf style. We will find an ideal location for you to stay near the ocean, we will organise full board (visits to local bars and restaurants, vegan and vegetarian options), we will provide additional attractions, such as sightseeing tours around Tenerife, catamaran cruises with dolphin watching, paragliding from the El Teide volcano or water scooter expeditions. For fans of skateboarding, we have night tours on surfboards and longboards during which you will get to know other, less known corners of the island. We understand surfing, we know the requirements and expectations of surfers. We have the necessary experience in organising group trips. Interested? Contact us. *For the groups (over 20 people) we are able to plan and book the flights – send us all details by e-mail. Send us info about your group: number of people, ages, date of stay in Tenerife and your expectations. 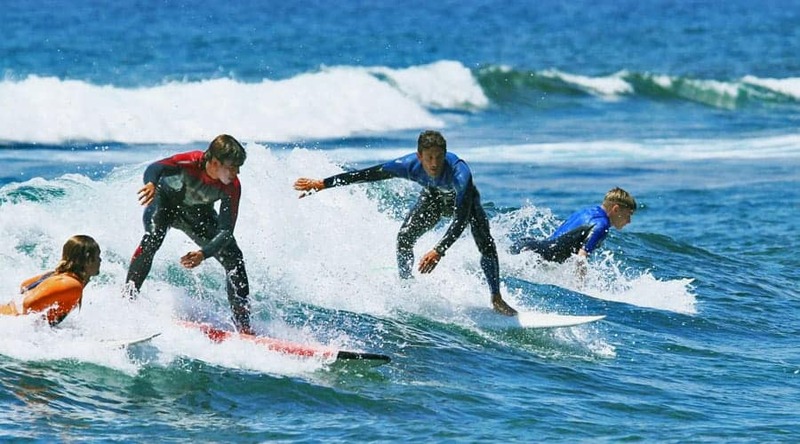 Within 24 hours you will receive a dedicated Surf Camp offer in Tenerife. Come to a surf camp to Tenerife with a group of friends or organise a company surf retreat for employees. Discover the beauty of surfing and secrets of a permanently sunny island! As part of the TENERIFE SURF SCHOOL surf camps, we provide full care during your stay in Tenerife from the moment you get off the plane. 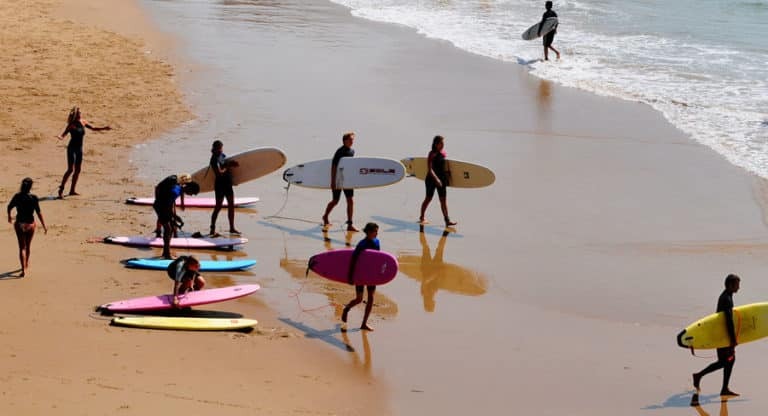 We will plan and organise your group’s stay in Tenerife in a surf style. We will find an ideal location for you to stay near the ocean, we will organise full board (visits to local bars and restaurants, vegan and vegetarian options), we will provide additional attractions, such as sightseeing tours around Tenerife, catamaran cruises with dolphin watching, paragliding from the El Teide volcano or water scooter expeditions. For fans of skateboarding, we have night tours on surfboards and longboards during which you will get to know other, less known corners of the island. We understand surfing, we know the requirements and expectations of surfers. We have the necessary experience in organising group trips. Interested? Contact us.